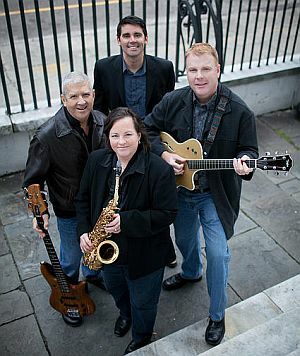 Looking for a Charleston wedding band or live party music for your special event? 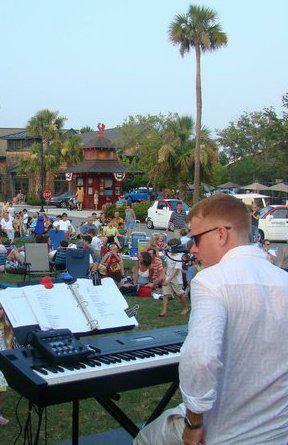 Chris Crosby Music entertains in the historic city of Charleston, SC and beautiful surrounding areas. Chris is the creator of a unique and versatile sound that will compliment any special event. As lead vocals, guitar and/or keyboard, Chris can play solo or bring the other talented members of his group to fit your occasion. As a duo or trio, with drums and/or bass, Chris can offer a diversity of music styles, including acoustic, folk, jazz, rock, country, beach, and Motown. To extend the song options further, Chris adds a horn player or another guitar. Regardless of the band arrangement, Chris adapts the style, song list, and volume to make sure everyone has a great time! Brides, grooms, their family and friends, event planners, photographers - Chris is fortunate to work with some fabulous folks who are kind enough to him and the wedding band great reviews. Chris was born and raised in the lowcountry of South Carolina, and feels blessed to be able to use his talents and have a career here. Chris is a full-time professional musician, who works hard at his craft and is continually practicing and refining his skills. Chris began his musical career while still a teenager. 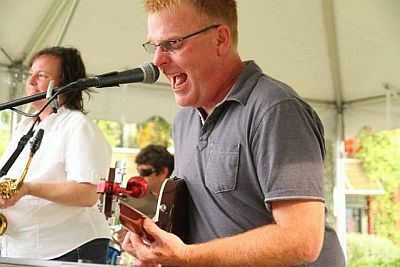 He played in many bands over the years, including rock, beach, country, original indie, variety wedding bands, and R&B groups.  These experiences afforded him opportunities to refine his skills at singing and playing specific genres and to develop a lengthy and diverse song list. A typical gig can range from light jazz to driving rock & roll and everything in between. Chris works hard to tailor the song selections to fit the occasion. These are only some of the songs Chris performs. 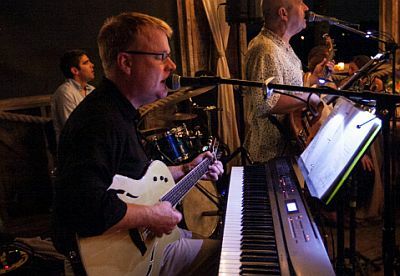 As leader of the premier Charleston wedding band and special event entertainment group, Chris is known for choosing songs to fit the occasion. Chris with his band can do it all from complimentary cocktail or dinner music to a packed dance floor throw-down for all ages!